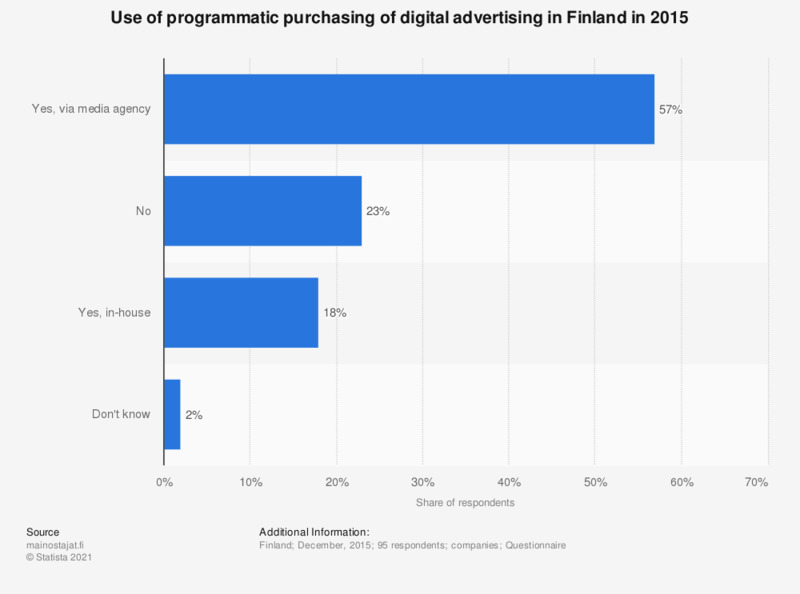 This survey shows the share of advertisers who programmatically purchased advertising in Finland in December, 2015. Out of the 95 responses, 57 percent used programmatic purchasing of advertising through a media agency. 18 percent were making purchases in-house while 23 percent did not use any programmatic purchasing at all. Why don't you pay attention to online advertising?